Originally, this French Fridays with Dorie recipe called for veal. I haven’t really eaten veal since becoming an un-vegetarian (uh, 1994 1995?) and I didn’t really see the need to use it here. 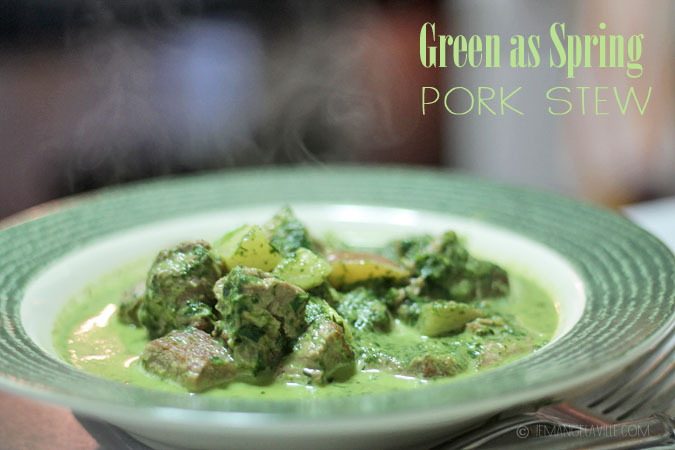 Not when there’s…PORK! So, yeah, I subbed the veal for pork shoulder. And I also made mine more broth-y by using a little bit less meat and adding some wine to de-glaze the pan. This year, the International Food Blogger’s Conference was held in Seattle, which is only a short $25 (or thereabouts) train ride from Portland. Also, this year Dorie Greenspan was the keynote speaker and since I’m in the French Fridays with Dorie group, this event seemed to good to pass up. 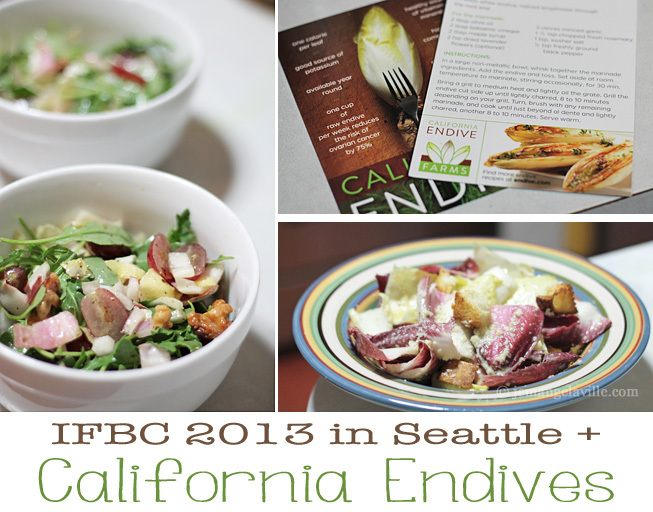 Especially since I really enjoyed last year’s IFBC. Oh my god, I love polenta. Creamy polenta, sautÃ©ed polenta — doesn’t matter. I just wish corn was healthier than it is, especially when I could probably eat polenta multiple times per week. I think I have found a solution! 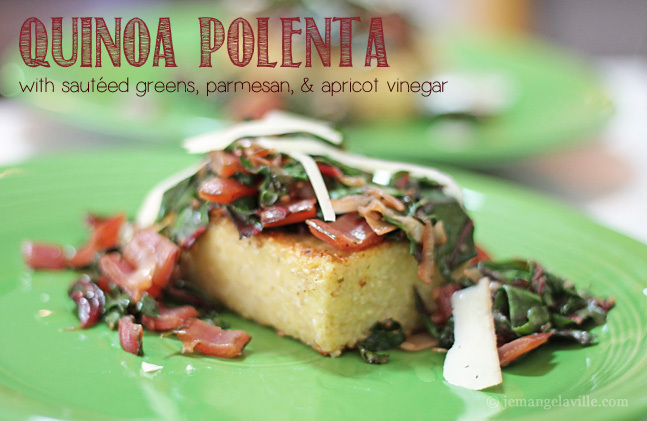 Polenta that is half traditional polenta and half quinoa! Because quinoa is good for you, it all works out. This week’s French Fridays with Dorie was a very interesting thing indeed — so interesting, in fact, that I am a day late in getting the post up. 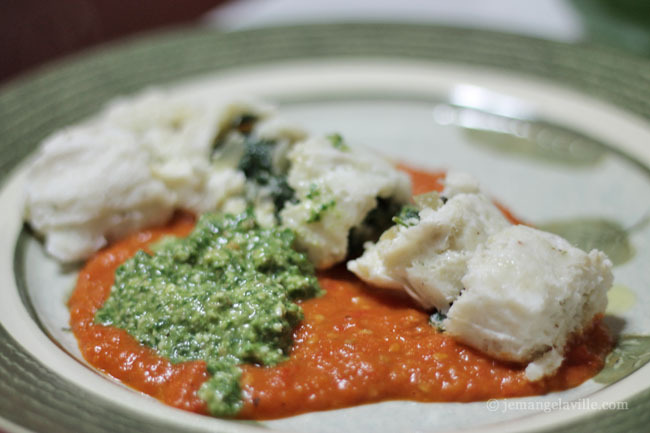 Cod and Spinach Roulades — a spinach and onion filling, wrapped up in fish mousse, steamed and served with tomato sauce and pesto. Kind of like an Italian-French fish tamale? 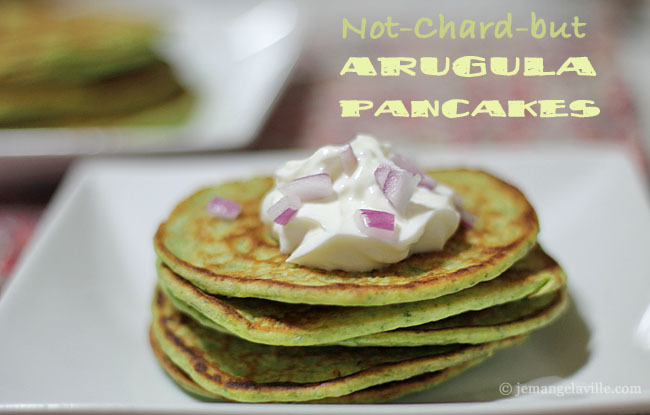 I don’t see the recipe officially online, so I can’t link to it, but it can be found in the cookbook, Around my French Table by Dorie Greenspan.